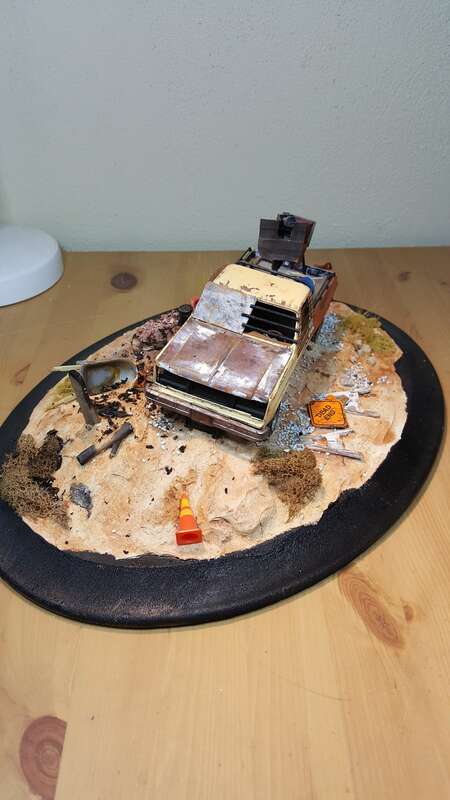 This was my first attempt at a standard 1:24 scale plastic model kit. 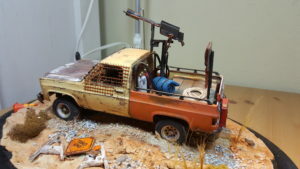 The kit was of a 1978 GM truck that I modified. 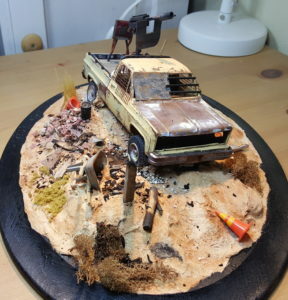 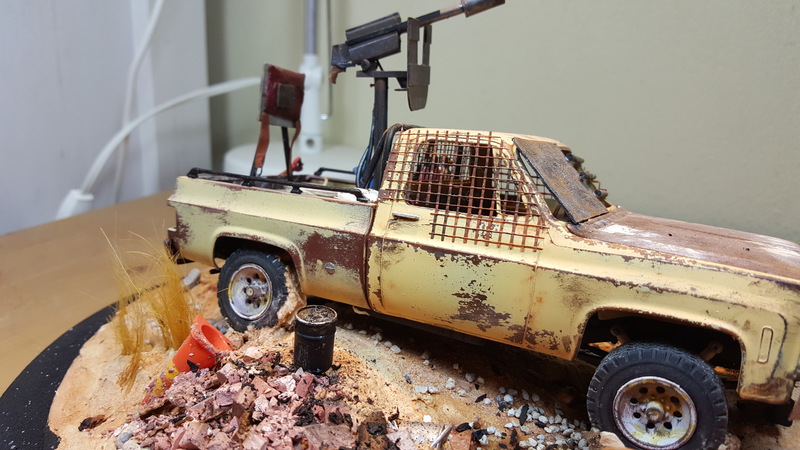 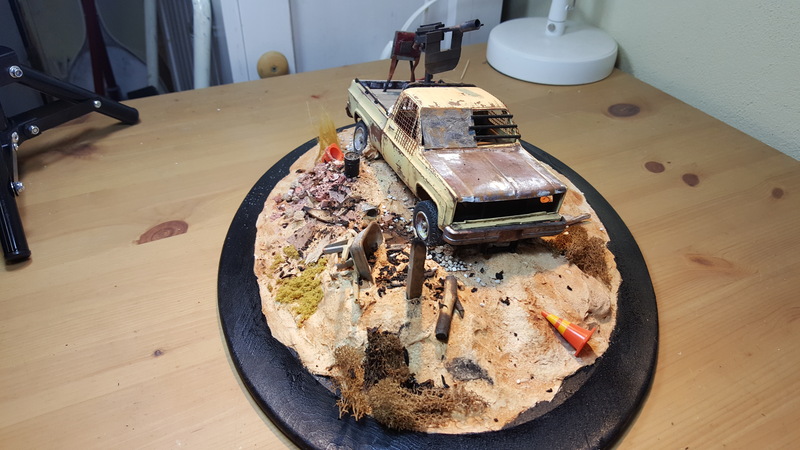 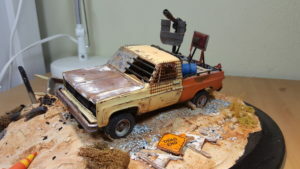 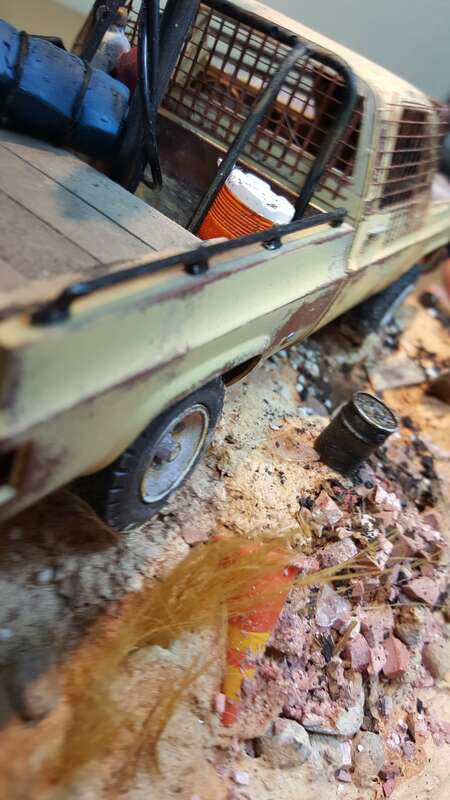 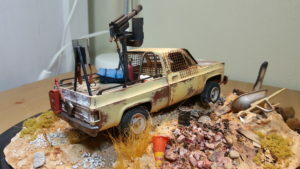 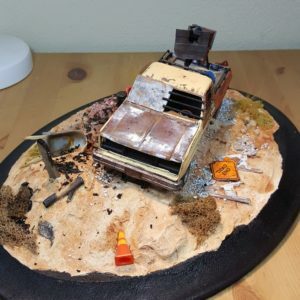 The flamethrower and modifications to the truck are all scratch built. I wanted to play around with the hairspray technique of creating a rusted vehicle with the paint coming off. I also wanted to achieve the appearance of a truck that had been pieced together from other abandoned vehicles.